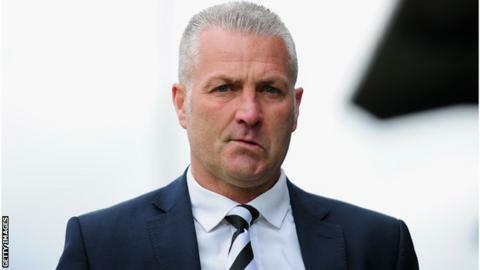 Manager Gary Mills said he was worried by Wrexham's capitulation from a dominant position to lose 3-1 at newly-promoted National League side Bromley. Wes York's goal capped a purple opening 20 minutes, but the home side struck three times before the break. "I felt we weren't brave enough once we conceded," said Mills after his first game in charge. "Maybe the second goal knocked the stuffing out of us a bit more as well. That's when you've got to be brave." There was little to concern Mills as a new-look Wrexham, containing seven debutants, gelled instantly against a club playing for the first time at this level. York's goal was just reward for their dominance, but the home side equalised through Sean Francis within two minutes and went ahead five minutes later when Alex Wall scored. Moses Emmanuel added a third before half-time and Wrexham had no answer. "For 20 minutes we were the side I want to us to be but that's got to be for 90 [minutes]," said Mills. "We can't give goals way like that. "We were moving the ball quickly, we had good movement, we were creating chances, we got the goal we deserved and then we conceded a goal that gave them a massive lift. "To be honest, after 20 minutes they were on their knees - they didn't know how to deal with us. But we've given away a soft goal that's lifted not just them but the whole place. "The second one we're too open so there's something to work on there. It can't happen again. We've got to stay solid. "But we've come to what is a difficult place to come to on your first day. It's a game we should have won - you can't dictate a game like that and all of a sudden lose a game."